Having used Twitter as a tool to connect with and learn from my peers I had always wondered how Facebook might be used to connect with students. I have never used Facebook and really didn’t know how to use it. All I knew was that if there was one way that I could guarantee getting information to, or communicating with students, it would be Facebook. Step 1: Set up an account. Not a personal one. Mine is under the name ‘Pbas Hpe’. I actually don’t even use this page for anything it just houses my ‘Groups’. Step 2: Set up a group and give it a name – ‘PBAS Yr 12 PE’. This is a secure group that can only be accessed by the members of the group. Step 3: Students search the group on their Facebook page and send a join request (did have some trouble here as the name of the group did not always come up in a search – eventually got there). I accept the request and they are then a member of that group. Step 4: Connect with the students. Send out reminders, post links to resources including video, add pictures relevant to concepts, answer student posted questions. I have only just begun to use Facebook this term. With a little help from people I knew with Facebook accounts and the Year 12’s themselves it wasn’t to hard to do. In 3.5 weeks I have posted 25 times all linked to preparation for their exam (Thursday wk 4). I am typing this the night before their exam and Ryan has posted 3 separate questions tonight, one of which Kane answered for him before I got to it and the other two I answered. It was great to see Kane helping out Ryan as well as Ryan being able to ask me last minute questions before the exam. Students are not ‘Friends’ with me they are just a member of a group I run. So as far as I know I’m not breaking any department guidelines. I can access their pages but no more than anyone else who tried to find their pages through a search on Facebook. It is up to the students to make sure their privacy settings are set appropriately. A great part of using Facebook is not only putting up content that is easily viewed by my students but I can actually see who has viewed the information posted. A little Seen by message appears at the bottom of each post. When the entire group has seen it it reads Seen by all. Out of my 25 posts only 2 had not been seen by all and they were the last couple. 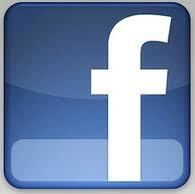 I will be using Facebook next year with my Stage 1 (10/11’s) and 2 students and possibly my Year 9’s as well. Below is a cut and past of the last few posts, the most recent are at the top. Hope everything goes well tomorrow. I have really enjoyed teaching all of you this year. Keep the questions coming if you need and I’ll try and check every now and then through the evening. Also best of luck for any other other exams and have a fun (safe) schoolies. Can you also explain signal detection for me? Cheers boss. One final question, do you have to be at you’re VO2 max to reach a steady state or is it just when the oxygen consumption has reached the oxygen requirements of the given workload? Kane Bowley second one chief. Pbas Hpe Nice work Kane. Nicky T, is aerobic glycolosis just a fancy expressions for using the aerobic system to create energy? By like using O2? Kane Bowley i had the opportunity to look like a spud (Tats) and i took it. Pbas Hpe Exactly right Ryan Aerobic Glycolosis is what we have been referring to as the aerobic system. I was going to do a series of 3-4 posts about the eBook Why schools? by Will Richardson. See Why school? Post 1. If you haven’t seen this post or viewed the video in it I suggest you go back and view it before you view the video below. I no longer have to do a series of posts because I have found a video of Will Richardson presenting at TEDxMelbourne, recorded only two months ago. The talk encapsulates his book Why schools? Hence the reason why I don’t need to do any more posts on it. Valmai spoke to me about the key message she picked up from the first post which again is reinforced in this video, “we don’t have to do school better we have to do it differently”. If I had to choose one video to watch from the wide range posted on this blog during 2012 this would be it. This will be the first in a series of posts based on the book Why school? by Will Richardson. If your interested it can be downloaded from Amazon to your Kindle or iPad Kindle app for $2.04 (at the moment). The reason for bringing this book to your attention and discussing it in further posts is to generate discussion on a topic that is current. I came across the book Why school? on Twitter, it is an easy read and raises many questions about our students learning in 2012 and beyond. Its main premise is that teachers, knowledge, learning and getting an education are no longer scarce commodities that can only really be accessed through institutions but are now abundantly available thanks to the Internet. “Today if we have an Internet connection , we have at our finger tip, on-demand access to an amazing library that holds close to the sum of human knowledge and, equally important, to more than two billion people with whom we can potentially learn.” Will Richardson, Why school? This video is a good introduction to Will Richardson’s views on education. 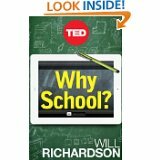 It is a TEDxNYED talk made before the publication of the book Why schools? Below are the visits our site has recieved broken down by country. This is the information gathered by the ClustrMaps map found at the bottom right of the blog page. It is based on a persons IP address. Each time an IP address visits the site it is logged as one visit. 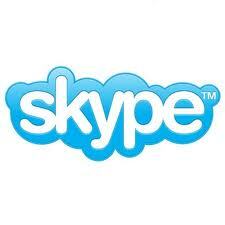 If an IP address visits more than once in a day it is still only recorded as one visit. This is different to the Page Hits counter (found above the ClustrMap on the blog) which counts every visit and page hit hence why it is a larger number. So far since January this year to the writing of this post there have been 1622 visits from people around the world based on one visit per day per IP address while page hits are at 3859. The reason I wanted to bring this to your attention was 1. purely interests sake but 2. to point out what we write, either as a post or as a comment is not just read by staff at our school but by a world wide audience. This blog has relatively few visitors compared with others but it does show the reach you can have when you put your thoughts and ideas online. As professional development tools blogs, wikis, Facebook and Twitter (among many other Web 2.0 tools) are almost unlimited in their ability to offer professional learning. If you haven’t considered using them for professional development before you may like to in the future. They have certainly contributed to my knowledge and directly to my teaching in the classroom. Sorry about the poor formating for the data below. Its the only way I could copy it from the ClustrMaps website. The breakdown of the Australian numbers is SA 613, NSW 147, Vic 97, QLD 54, WA 46, Tas 10, ACT 8, NT 2, NA (unidentifiable IP address) 132. Click on the link below and have a look at the digital book “Getting Started – Classroom ideas for learning with the ipad”. This was put out by the Department of Education and Early Childhood Development (Victoria) as one of the resources for an iPad trial in Victoria. Some good ideas about pedagogy and how ICT and iPads can be used. Click here to read the book “Getting Started – Classroom ideas for learning with the iPad “. Over the holidays my sister was sent to a New Educators conference in Brisbane (ah to work in a big school!) and she stumbled across a woman by the name of Erica McWilliam. Anyway, it would appear (having read only a tiny bit of her work so far) that she may just replace my previous teaching mentor Guy Claxton…. maybe. Anyway, if you have time try and check out some of her work and in the meantime, I will endeavour to post some articles that ring a tune with me. 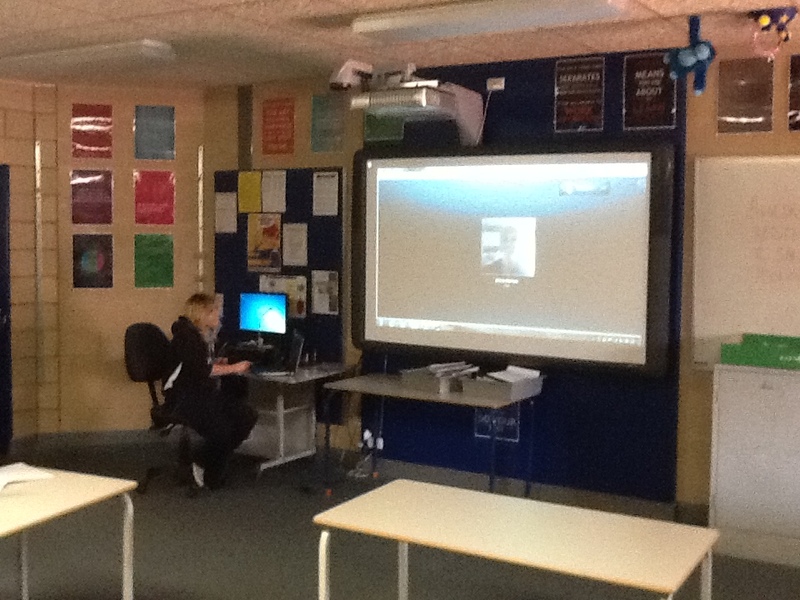 On another note, I’d encourage you to visit my blog I am trying with Year 9 Maths students, http://acharlton5.edublogs.org/ . It is my first attempt at using this medium in response to feedback sought from students in Semester 1. At that point I had surveyed students via Zoomerang. They had provided me two key themes in their feedback that I have attempted to focus on in improving my teaching. Literacy focus – the great Ali Newbold! It is audacious – we have had one lesson together today, and as enthused as year 9’s can get, they seemed quite receptive to what was presented to them. So fingers crossed it works well. I will update you on problems encountered or useful/useless support materials, and will also inform on student feedback as we progress. I would be really keen as well on your feedback or views if you have the time! Research over a long period of time suggests that teacher quality above all other educational policy has the biggest impact on student learning. The following quote is from the AITSL website under the heading, The crucial role of the teacher – ‘The greatest resource in Australian schools is our teachers. They account for the vast majority of expenditure in school education and have the greatest impact on student learning, far outweighing the impact of any other education program or policy’. Discussion has begun at Leadership around how we can structure teacher observations and processes at PBAS that allow for peer observation of our teaching in a way that is comfortable for staff & provides honest and targeted/useful feedback. To help foster this discussion Leadership are trying to get Eudunda Area School to visit us in term 4 and explain how their classroom observation processes work (Clare High may also be a possibility). If these visits occur the purpose will not be to hold up any particular model as ‘the best’ but rather use them as starting points to generate discussion and ideas for our own model. Is this process part of the performance management system of the school (or separate)? Do we have a whole school focus for classroom observations i.e. TfEl 3.2 Foster deep understanding and skillful action or do teachers choose specific areas they would like to focus on? How will feedback be given i.e. informally, formally, notes, oral, video or a combination? Guidelines for observing teachers will need to be clear and easily understood. How will the observation proforma look and work? Needs to provide specific & useful feedback that is a easy to understand and use. reflect and act on feedback provided by the observation? An article Denise gave me called ‘The Gentle Art of Observation: a small schools approach to peer mentoring and observation’ (Uradila PS) has a statement at the end of the article that summed up their purpose for classroom observations. The goal at our school is not to have homogenous teachers but teachers who can argue their teaching practice and can honestly say what they are doing is effective teaching. I look forward to any feedback that staff may have at this point regarding classroom observations either directly or by commenting on this post. The benefit of commenting here is that your peers also get to read your thoughts and ideas which can only benefit the discussion. Hopefully any observation process we develop at PBAS doesn’t generate the following emotion from staff.